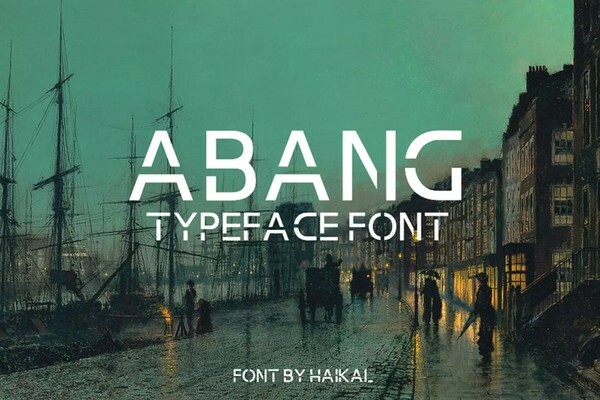 Abang Typeface Font is a clean and simple vintage sans serif font, with smooth edges to simulate vintage printing. Perfect for vintage logo designs, headers and small amounts of text. It contains an uppercase alphabet with numbers and symbols.